This spring, Metro Vancouver residents will vote on whether to a raise a new 0.5% sales tax to help fund the transportation projects in the Mayor’s Council Vision. But what will the plan mean for the Tri-Cities? Because the new funding in the Mayor’s Plan will be able to fully cover the costs of improvements to existing services, the Tri-Cities will see changes very quickly. An extra train and new cars will be added to the West Coast Express. The 25% increase in bus service region-wide enables improvements to the all-day frequency on routes like the 701 and 188 (p. A-51). The plan also identifies Austin and Schoolhouse as potential corridors for improved frequencies during peak hours (p. A-55). More frequent service means, of course, less waiting around. 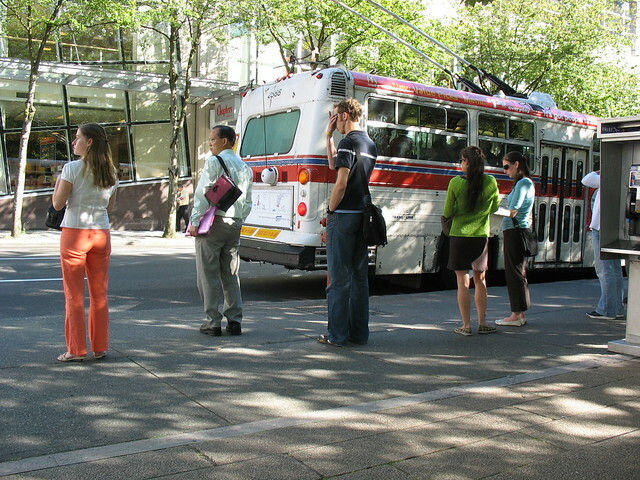 The 188 currently comes every half hour; this plan would reduce the wait to 15 minutes — all day. So average wait times would go down to seven and a half minutes. * Transit becomes a much more viable alternative when you don’t have to plan your schedule around it. The Tri-Cities are growing. The population is projected to grow to 364,000 by 2041 up from just over 200,000 today. Many of these newcomers will live along the new Evergreen Line, but Burke Mountain is growing into a new community of almost 30,000 in northeast Coquitlam. The Mayor’s Plan would provide funding to add basic community shuttle service in this area (p. A-57). Many of these new residents will travel through Port Coquitlam. Although we are separate cities (despite what some people might assume), we share a common interest in making sure our corner of Metro Vancouver remains a great place to live. In the second phase (years 5-10) of the Mayor’s Plan, the 701 route will be replaced with a B-Line to Pitt Meadows and Maple Ridge (p. A-44). This will further increase the speed and reliability of bus service down the Lougheed Highway, heading west into Vancouver and east towards Maple Ridge and Langley. Also included in the Plan are upgrades to Coquitlam and Port Coquitlam exchanges, a thirty-percent increase in HandyDART service for people with disabilities, and contributions to pedestrian and cycling infrastructure. The Evergreen Line is an exciting development for the Tri-Cities. To make the most of this new piece of infrastructure, we need to improve our existing system to connect people with it. * Average wait times are half of the frequency, or the time between buses.